Two former Disney IT workers spoke at a Donald Trump campaign rally on Sunday, telling about the shock of having to train their foreign replacements. It's hard to recall any presidential campaign, in any year, that has given IT workers this type of visibility. But Trump, the businessman now seeking the Republican nomination, has made H-1B reforms a part of his platform. Speaking at the large rally in Madison, Ala. was Dena Moore, a former Disney IT worker who trained her foreign replacement. Around 200 to 300 other Disney IT workers lost their jobs as part of an IT outsourcing shift. Moore warned that Disney's action is a bad signal. "Other companies look up to them and they follow and model their behavior," she said. IT workers are generally reluctant to take a public stand on visa policy issues. They worry about hurting future IT job prospects. Non-disparagement clauses in severance agreements also limit their involvement. Moore noted the problem. IT workers "are afraid, they're in shock," she told the cheering crowd. "They're not coming forward because we have been taught all our lives to make do and keep going on. But you know what? This little old grandma is going to stand up for what's right. "The fact is that Americans are losing their jobs to foreigners," said Moore. "I believe Mr. Trump is for Americans first." 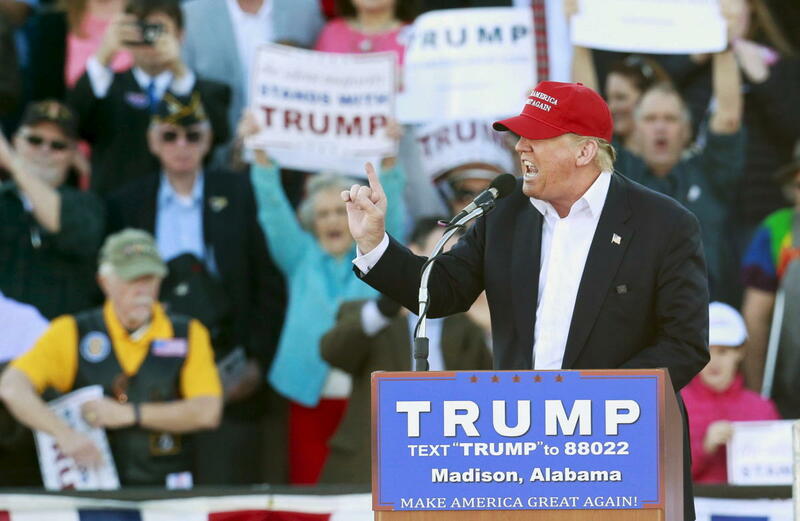 U.S. Sen. Jeff Sessions (R-Ala.) appeared as well at the rally, and endorsed Trump for the GOP nomination. Sessions is a leading Senate H-1B reformer. Also appearing with Moore was Leo Perrero, who testified last week on the H-1B visa program before the Senate Subcommittee on Immigration. Both Perrero and Moore are suing Disney and the IT contractors it hired and were joined at the rally by their attorney, Sara Blackwell. She blamed "corporate greed" for IT offshoring. The rally was held in advance of this week's Super Tuesday primary voting in a number of states, including Alabama. Most of the ire from Trump was directed at rival Sen. Marco Rubio (R-Fla.), who supports efforts to raise the H-1B cap. "What a great disappointment Marco Rubio is," said Moore. U.S. Sen. Ted Cruz (R-Texas), who is also seeking the Republican nomination along with Rubio, has reversed course. He once supported a major H-1B cap increase and is now co-sponsoring reform legislation with Sessions. Former Secretary of State Hillary Clinton, who is seeking the Democratic nomination for president, has said little about the H-1B visa. Unlike Trump, she doesn't address it in her platform. But Sen. Bernie Sanders (I-Vt.), who is also seeking the Democratic nod, has been a critic of the H-1B visa.